I’m so thankful for this layout because I was having such an awesome day in these pictures. 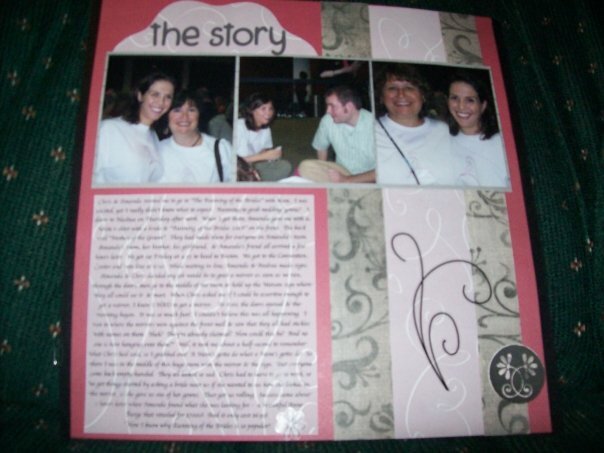 For this layout, I used CM’s Romance and Vellum paper. I cut a large circle and then used the circle maker and punched several 1″ circles to put behind the big circle to make it looked scalloped. Added some stickers and the pictures of our group ready for the running to begin, then used my cricut to cut out some fun letters saying that our team was ready to go . We did, after all, have matching white T-shirts with a bride on the front and saying who we were on the back. (Mine said Mother of the Groom). Thank you for looking! 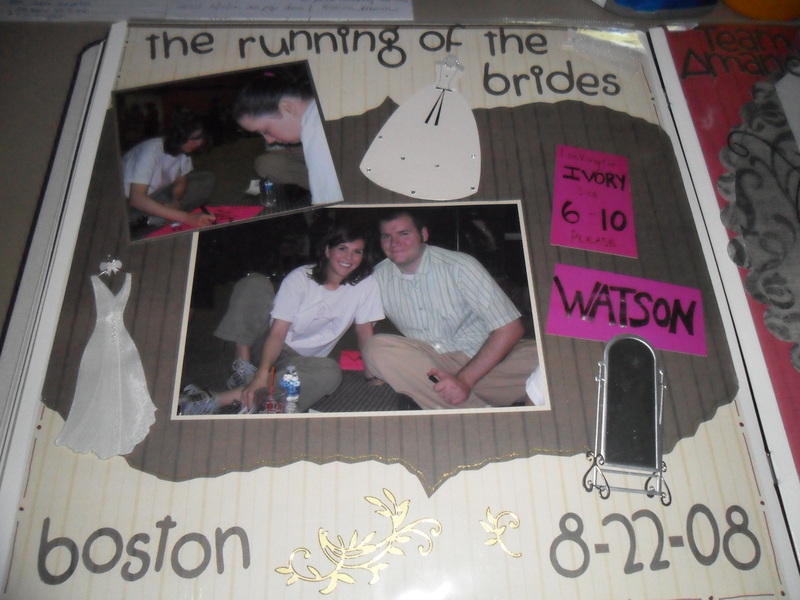 I think this is a great Mojo Monday layout because Team Amanda definitely had its Mojo going for the Running of the Brides-Boston 2009. My daughter-in-law found “the” dress here and it was an experience I’ll never forget and one that I was so thrilled to be a part of. For this layout I used the large round template; and cut several circles with the circle punch and taped them underneat the big circle. I used my cricut for the title words added some vellum, the photos, and swirls; and I ended up with a very Mojo happy layout! Thanks for looking….. I used Tie the Knot designer paper here that is so beautiful with the sparkly silver accents. I also used my cuttlebug and a sizzlit to cut out the black leaves. 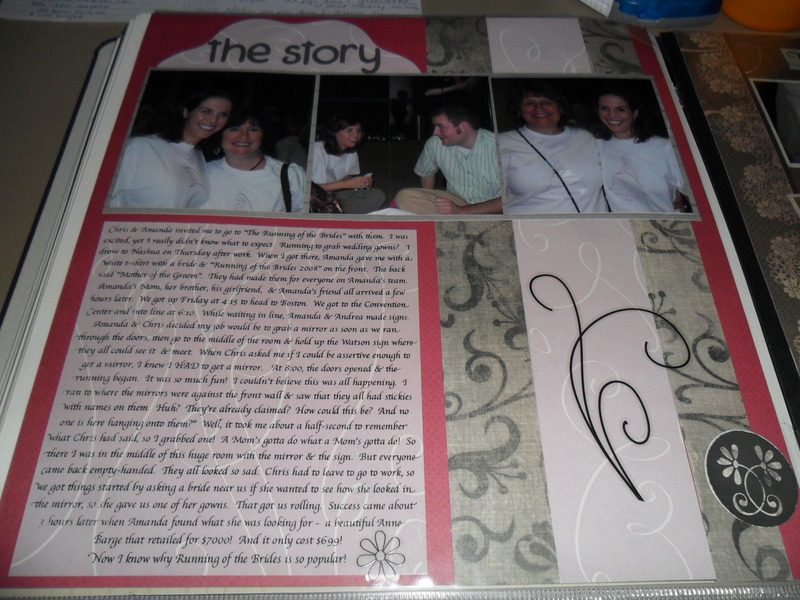 Then I added a vellum accent and it all equals a pretty page. I made these favors for my son’s wedding rehearsal. They held skinny hershey candy bars/sticks. 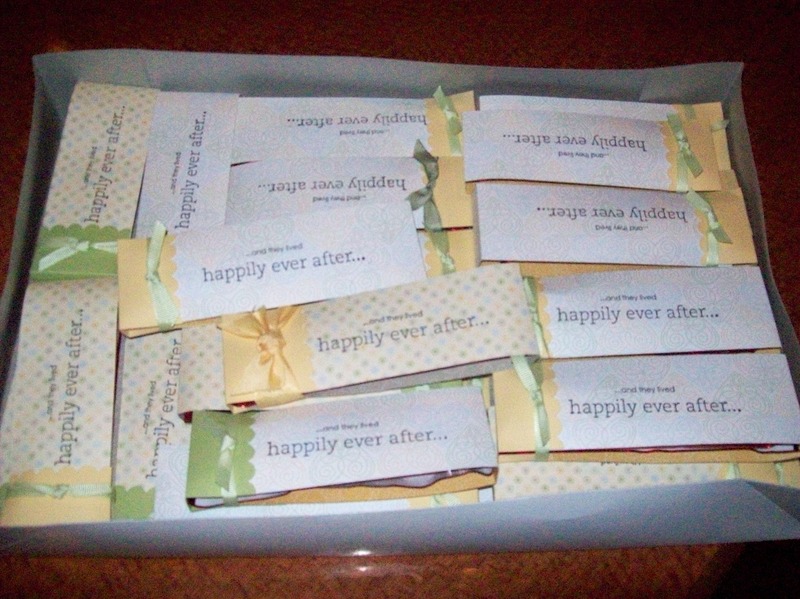 I stamped the “and they lived happily ever after” and used cardstock and ribbon for the rest. I had so much fun making these! Thanks for looking! 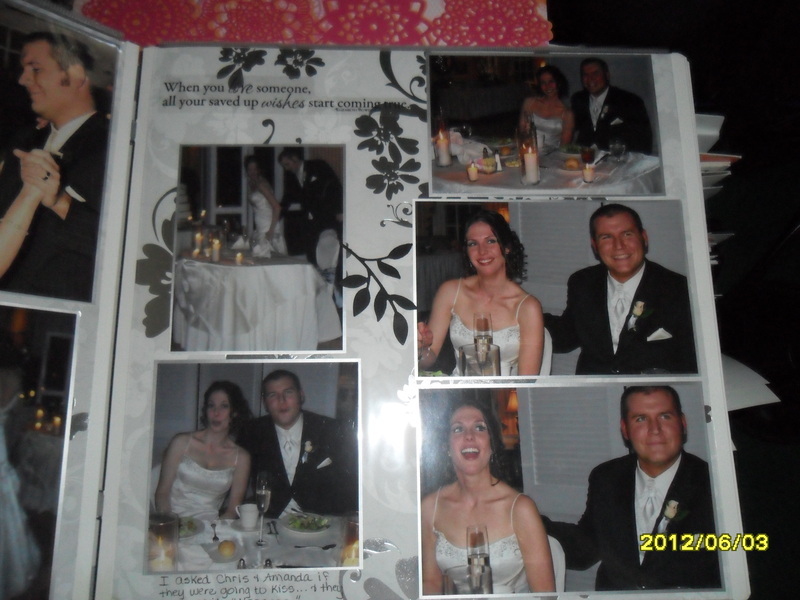 I used a dark red cardstock, romance designer paper, and vellum for this layout. These pictures were from an amazingly fun experience that I knew I had to journal about. I also knew it would be a lot of journaling, so I typed the story up. Another one of my favorite layouts because I just love “the story”.